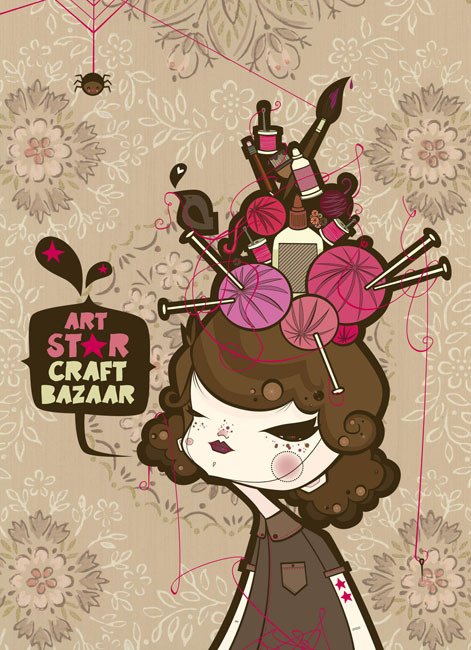 Art Star Set Up, originally uploaded by antigenre. 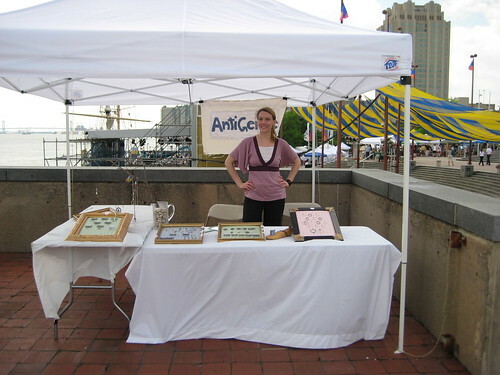 Last weekend was the big Art Star Craft Bazaar in Philadelphia! Despite the wild weather on Saturday, I think there was a fairly good turnout and my sales were pretty good overall. I’ll definitely apply for it again next year. It was a bit of a learning experience for me, in terms of preparation and set-up – I need to figure out how to windproof my whole display! Fortunately, though, there were no disasters. Many thanks to everyone who stopped by and said hello! So I’ve decided to pull out of the big street festival that is happening this Sunday in Highland Park, NJ. Late last night, I brought out all the inventory that I had set aside for both this fair and for Art Star Craft Bazaar in Philadelphia at the end of the month. I was absolutely shocked at how little I have prepared. I have just enough for the one-day fair this weekend. The problem is that I’m heading to Toronto for a week fairly soon and, if I were to sell a lot this weekend, would not have the time to replenish my inventory with enough for the much larger, two-day event in Philly. Ugh. Oh well. 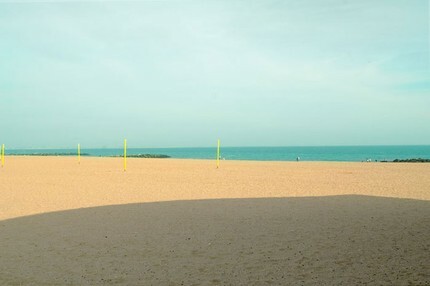 As I sit here and snack on the $125 entry fee that I have to eat, I leave you with this beautiful beach photograph from RBurnettJr in the hopes that we have lots of warm, sunny weekends coming up. 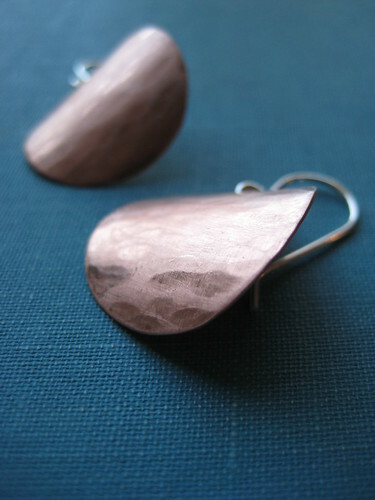 Desert Earrings, originally uploaded by antigenre. I spent about 20 noisy minutes the other day just banging different sized discs out of a sheet of 24 gauge copper, trying to come up with new ideas and looking for inspiration. When I was done, I just sort of spread all the discs around on the table and played for a while with different shapes and configurations. I decided to do something less complicated in structure, but interesting in shape and texture. These earrings were among the results and are now available in my shop! In other news, I applied to participate in the Bust Spring Fling Craftacular in Brooklyn, and I’ll find out if I got in or not tomorrow. Here’s hoping!